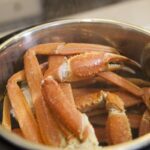 If you have seafood lovers in your family that love Crab legs, you can now easily satisfy their cravings by cooking crab legs at home in the Instant Pot. So easy and so delicious! These Instant Pot Crab Legs were made while on vacation. My husband and kids love Crab Legs but it can get really expensive ordering them out. So we decided to make them at our condo. 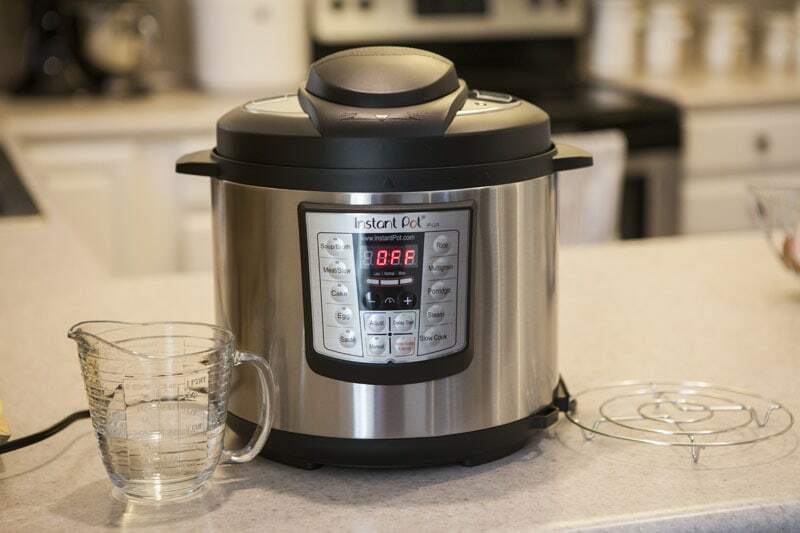 If you are headed to the beach be sure to take your Instant Pot with you. 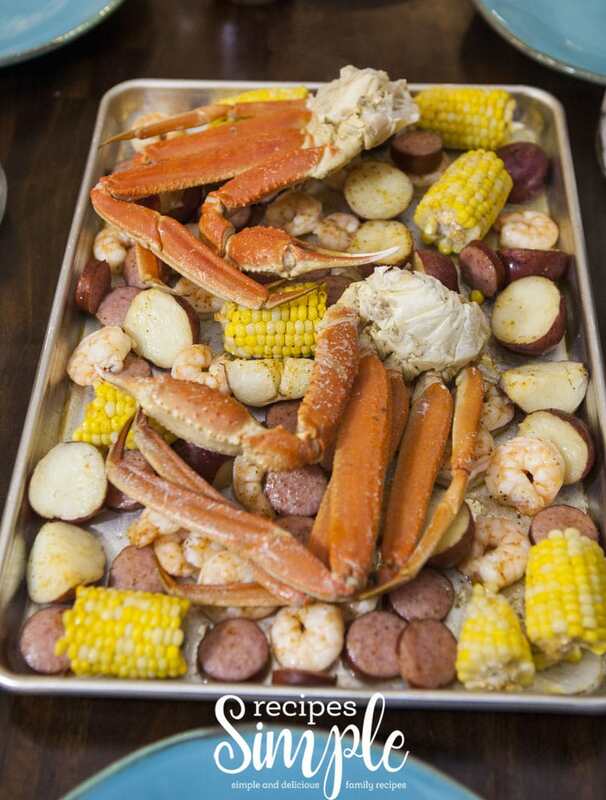 It’s a quick and easy way to cook up some delicious seafood and you can serve them with your favorite side dishes. Scroll down for Printable Recipe below. 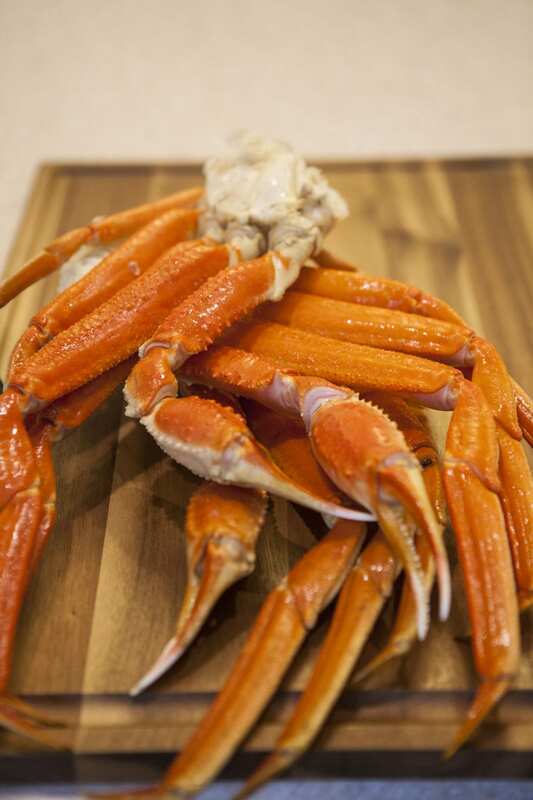 You’ll need 3 clusters of fresh crab legs or thawed crab legs if using frozen. Get your Instant Pot, steaming rack and one cup of water ready. Insert steaming rack into your instant pot and pour in one cup of water. 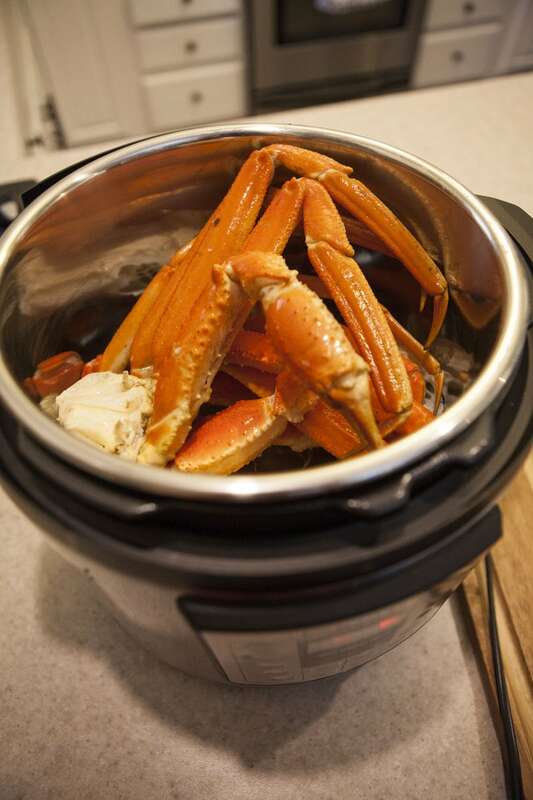 Add fresh or thawed crab legs to the Instant pot. I have not tried them from frozen yet but Cara was kind enough to comment below that she pressure cooked them from frozen for 4 minutes and they were perfect. Thank you Cara! 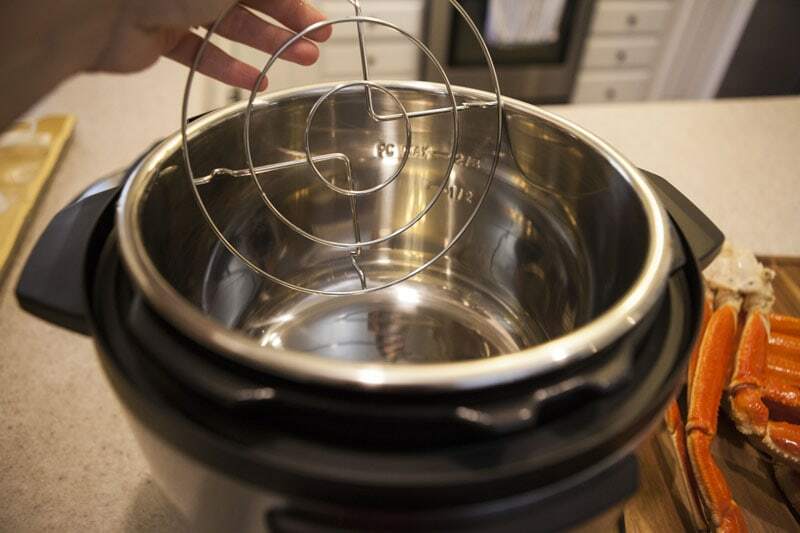 Place the lid on the Instant Pot and seal the vent. Next, press the “manual” button and set the time to 2 minutes. Once the instant pot beeps, quick release the pressure. Use tongs to remove the crab legs. Serve with melted butter. 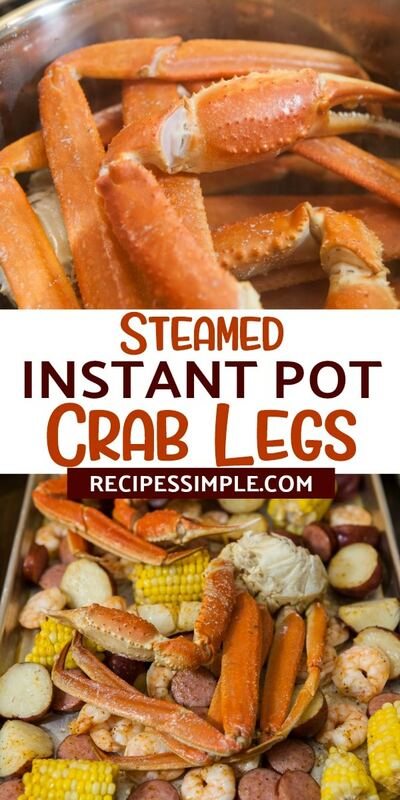 Hope you enjoy these Instant Pot Crab Legs. Leave a comment if you try them! Be sure and try our other delicious Instant Pot Recipes! 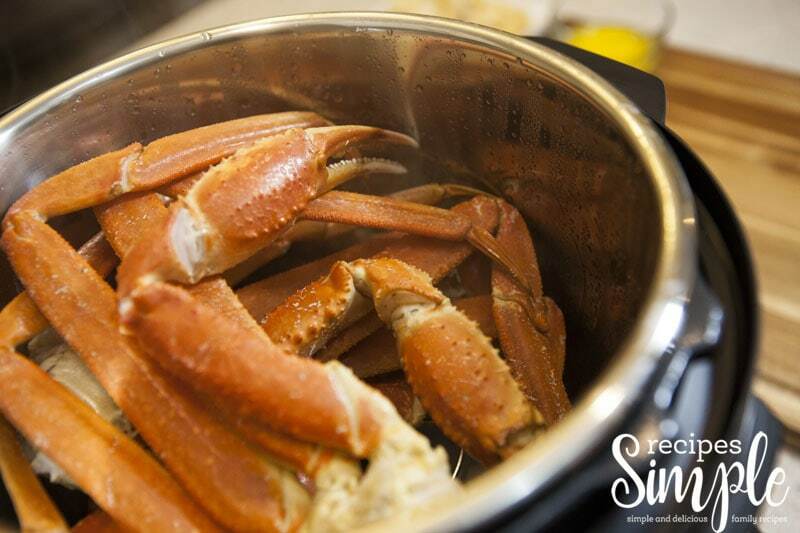 If you have seafood lovers in your family that love Crab legs, now you can easily satisfy their cravings by cooking crab legs at home in the Instant Pot. So easy and so delicious! Insert steaming rack into your Instant Pot. Add fresh or thawed crab legs (if using frozen) to the pot. Place the lid on the Instant Pot and seal the vent. Press the manual button and set the time to 2 minutes. Once the Instant Pot beeps, quick release the pressure. Use tongs to remove the crab legs. 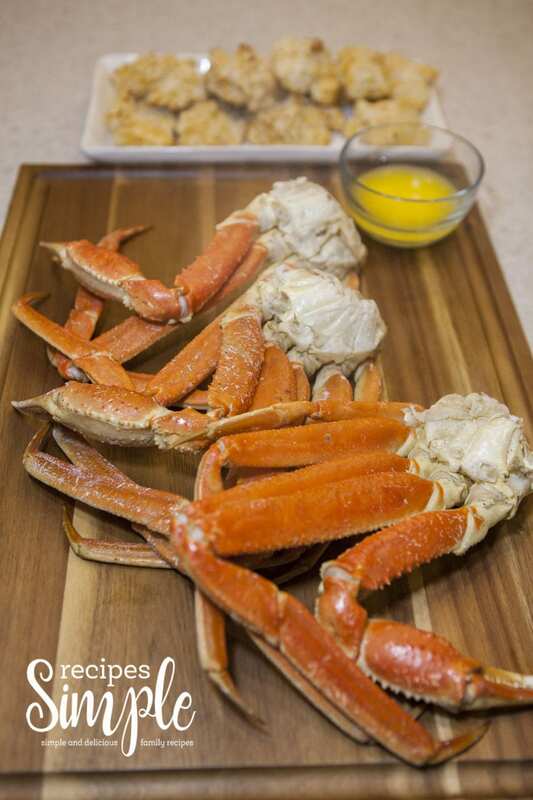 I love crab legs but have never made them at home but this sounds so simple. Thanks – I am going to try it this weekend. How long would you steam if cooking from frozen? I’ve never tried cooking from frozen. I’ve always thawed them first. I made these tonight and pressure cooked the legs from frozen for 4 minutes…they were perfect! Thank you for letting us know! I’m glad you enjoyed them!! What about the corn, shrimp, potatoes and sausage? Can I IP those, too? Separate from the crab legs, I’m guessing? Yes you could. It would be easy to do in the Instant Pot! So, it doesn’t take but less than a few mins to make? That’s right. That is what I love about the Instant Pot. Pressure cooking is fast and everything I have cooked in my has been so good!